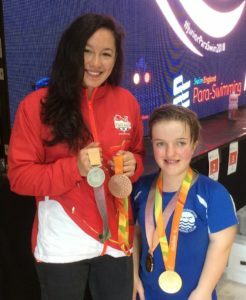 Georgie, Marcus and Lewis all competed in the National Junior Para championships at the weekend, where Paralympic and Commonwealth medallist Alice Tai dropped in with her medals! This high level event took place at The Quays Swimming and Diving Complex in Southampton. A 7.30am warm up meant an early start for all three swimmers. Joe unfortunately was injured and had to withdraw. 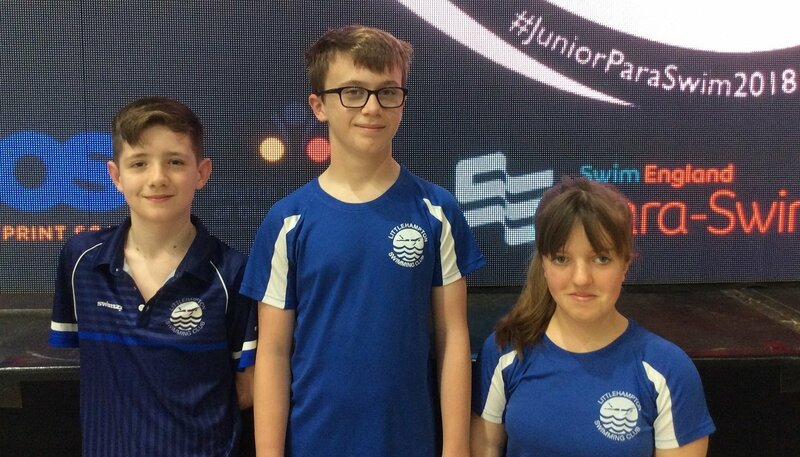 Lewis Jones was at his first major Para event and finished 4th in both the 100 back and 100 free with 3 and 4 second PBs respectively in the 10-13 year S9 class. Marcus Harvey won Gold in the 50 free, 100 free and 100 back in the 10-13 year S14 class. His backstroke was a massive 6 second PB. 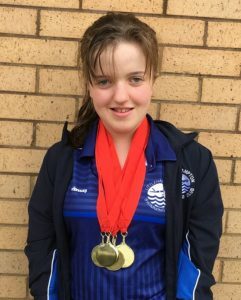 Georgie won Gold in all 7 of her events in the 14-16 year S6 class with some good PBs, including 7 seconds off her 200 IM and 11 seconds off her 400 free short course times. Previous: Previous post: Liam Tancock visits Littlehampton Easter Meet!